FYVFY, Inc., a Minneapolis, MN, sports accessory company is announcing the introduction of the FY-DENY, a must-have basketball shoe accessory for players on the go. Now officially available at www.FYVFY.com and at participating basketball training facilities to be announced over time. 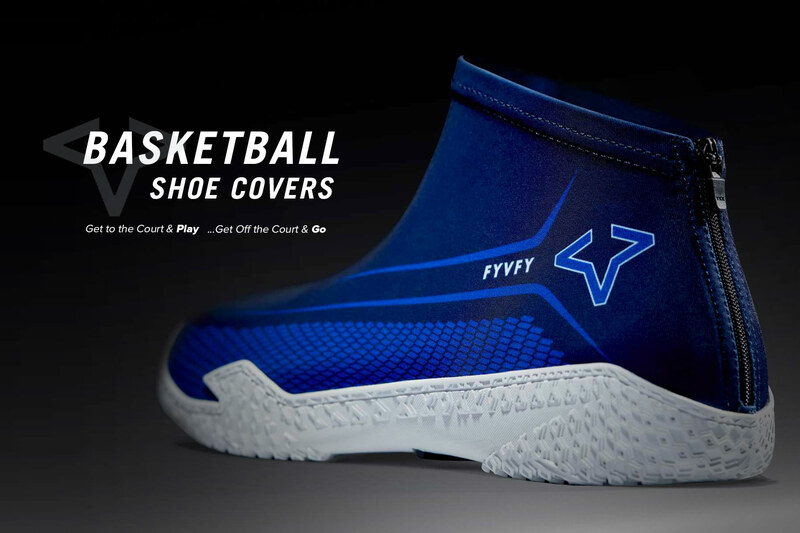 The FY-DENY-I by FYVFY is an innovative, super lightweight basketball shoe cover worn to and from the court to ensure basketball players preserve and protect their original shoe grip (https://fyvfy.com/about-us/). The FY-DENY zips on and off in seconds, protects against the elements, saves time changing at the gym, saves money on replacing worn shoes, adapts to a wide range of styles and sizes, folds up easily for basketball bag storage, and is a must have for players on the go. Whether it is practice, training, camps, pick up ball, or games, today’s players are constantly on the go. Serious players do not wear their playing shoes off court in order to preserve grip, but unfortunately it takes significant time to put on and take off shoes. The FY-DENY offers an alternative that takes only seconds to slide on and off, preserving your basketball shoes underneath until you hit the court. A single pair of FY-DENY’s covers multiple shoe sizes and they are extremely durable and machine washable. When you’re late to the game and your teammates are on the court warming up, the last thing you want to do is take the time needed to change shoes. The FY-DENY ensures when you get to the court, you are ready to play – and when you get off the court, you’re ready to go. Today’s players are always on the go, it’s time to get a pair of FY-DENY’s to ensure you are on time, all the time with your grip preserved. FYVFY. First on the court.